This is Frances' last week of hosting the CCEE Stampers challenge. For her final challenge this month she asked us to celebrate Fairy Day, which was June 24, and include fairies on our card this week. I found a pad of Prima patterned paper in my drawer called Sweet Fairy -- thought that would be appropriate for my card today. The fairy is from an old Inkadinkadoo set. My layout is this week's Sketch Challenge on Splitcoaststampers. 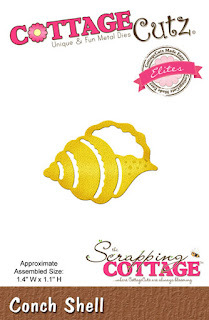 Stop over at the CCEE Stampers blog to see some more fairies. 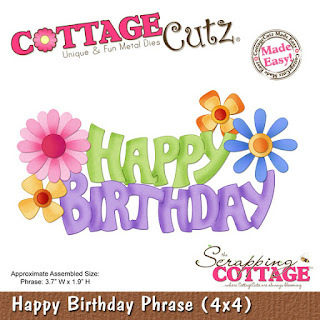 We all need birthday cards, and I have a relatively simple one for you today -- using two different CottageCutz sets, Happy Birthday Phrase and Balloons, Variety. Frances continues as hostess for the CCEE Stampers; and this week she tells us that yesterday was World Music Day, Music Day, and Make Music Day. Because of this she asks us to include something music-related on our cards this week. I haven't done a triple-stamping card lately, so that's the technique of my card today. I pulled out some stamps that haven't seen ink in a long time. The instruments are from Heartfelt Creations, the background sheet music is from Me and Carrie Lou, and the sentiment is from MFP Stamp Shop. I believe all three stamp/stamp sets are long retired by now! To see how the rest of the team handled Frances' challenge, stop over at the CCEE Stampers blog. Last week I saw a card which was a variation of the Joy Fold card. Instead of a horizontal opening, it had a vertical opening. I haven't made a Joy Fold card in a while, so I decided to make one for today, using this vertical opening technique. 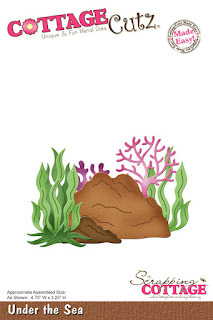 I used a bunch of "under the sea" dies from CottageCutz, along with one of the new Expressions Plus dies -- "imagine." To start my card, I cut two pieces of teal cardstock, one piece 8 1/2" x 5 1/2", scored at 5 1/2"; the other one 4" x 8", scored at 4". I also cut three pieces of swirly blue-green paper: 5 1/4" x 5 1/4", 5 1/4" x 2 3/4", and 4" x 4"; and three pieces of "sand" paper 5 1/4" x 2 3/4", 5 1/4" x 2 1/4", 3 3/4" x 1 1/2". I also cut one 3 3/4" x 3 3/4" white cardstock. I tore across the top of the three pieces of "sand" paper and adhered them to the three pieces of blue-green paper. Next I cut my die-cut images. 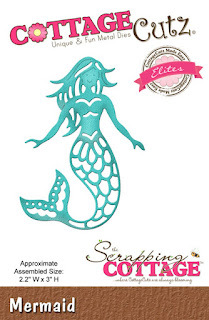 You will see that I cut two pieces each of the mermaid, the sentiment, and the waves. You will understand this duplication as the card is constructed. I adhered the patterned paper and one of the "imagine" die-cuts to my card pieces. Next, I lined up the sand on the 4" x 4" card with the sand on the bottom panel of the card base and glued it down. I did put some Scor-Tape on the back of the 4" x 4" card at the top to make sure of a good adhesion over the sentiment. Here is where you discover why I cut two "imagine" sentiments. Lining up the word with the one already on the card, I adhered it onto the smaller card and cut off the excess. I will admit that this looked better in my head than what actually occurred. Then, using Copic markers, I colored the mermaids, the shells and the seaweed . . .
. . . and adhered them to the front of the card. As you can see, I poked out the pieces of the mermaid tail and hair and inserted the lighter blue and darker hair pieces into the other one. The wave die-cut was not quite long enough to span the full 5 1/2", so I had cut another shorter piece of that wave to make up the difference. After getting the size correct by overlapping and trimming the smaller piece, I adhered the wave across the fold-up panel on the front. 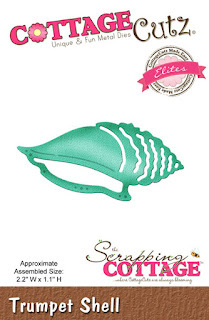 I had run two of the shells through my Xyron X sticker maker so they would adhere well. 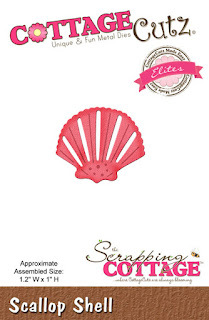 The third one (the scallop shell) was adhered with a medium glue dot. This one is used as the "closure" on the left side of the 4" x 4" panel. I then adhered the white panel inside the 4" x 4" section and stamped a sentiment and shell border. I hope you liked my card today. We're really celebrating summer this week! Frances told the CCEE stampers that tomorrow, June 16th, is Flip-Flop Day. So for our card this week, she asked us to make flip-flop cards. That could be the flip-flops that are shoes (thongs for Frances, an Aussie), or Flip-Flop Cards, or whatever else would work for us. My daughter is a big fan of flip flops (the kind you put on your feet), so this card is for her. Of course, in Florida, you can wear flip-flops all year round -- which she does! I realize this is June, but I saw a tutorial for a very cool technique a couple of weeks ago and wanted to give it a try on a Christmas card. 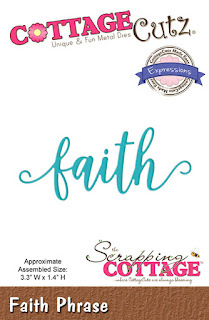 I used a very nice CottageCutz Nativity Silhouette die and Faith Phrase, one of the new Expressions Plus dies on my card. To begin my card, I cut a piece of navy cardstock 8 1/2" x 5 1/2" and scored it at 4 1/4". In addition I cut a piece of silver cardstock 4" x 5 1/4" and a piece of watercolor paper 4 1/2" x 5 3/4". 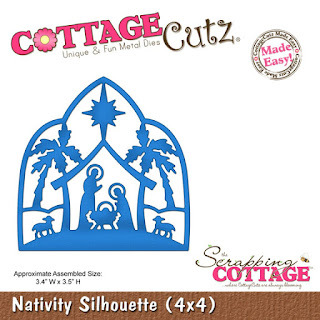 The dies I used were CottageCutz Nativity Silhouette and Faith Phrase, both of which were cut from silver cardstock. I cut a second Faith Phrase from gray cardstock. I ran the silver Faith Phrase through my Xyron X sticker maker and glued it to the gray die-cut. This gave a little more dimension to the phrase. At this point, I watched the tutorial again for a very cool technique -- Galaxy Background. There are several U-Tube videos explaining this technique. The one I used was by Christine Riley. Here is a link to her video. This is the result of my attempt. Then I constructed my card. After I had it completed, I decided that I wanted a bit more contrast between the ground and the sky; so I die cut a portion of the Nativity Silhouette from a piece of white cardstock and inset the pieces at the bottom of the card. I liked that so much better. Frances continues this month as hostess for the CCEE Stampers. She tells us that today, June 8th, is World Oceans Day. I promised my fellow teammates that I would cease and desist challenging them to make fun fold cards, but that doesn't keep me from making them! Here's my card for Frances' challenge -- a variation on a Z-fold card. As you may or may not know, CottageCutz recently released a whole series of word dies -- 35 in all. 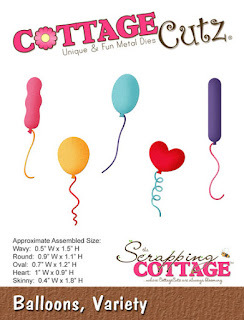 Check them out in the CottageCutz store. I had such fun making my card for today, and I used one of the word dies -- discover -- on it. I'm a big fan of underwater scenery, and that's what I created today. To start my card, I cut a piece of heavyweight teal-colored cardstock 5 1/2" x 11", scored in half. Then I cut a piece of navy cardstock 5 1/4" square and a piece of swirly bluegreen patterned paper 5 1/8" square. 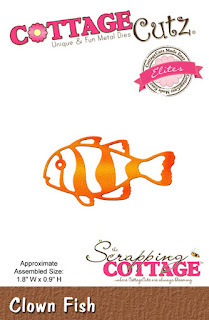 Most of the die-cuts on my card come from one single die, Under the Sea -- plus the Clown Fish (which may be currently out-of-stock) die and the Seahorse die -- as well as the word die. After cutting the pieces, I added some color shading using Copic markers. Then I went about constructing my scene. That was really a lot of fun. 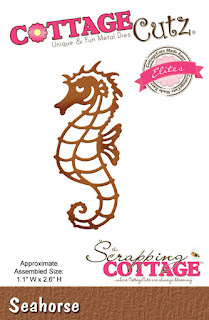 The inset pieces on the seahorse and clown fish were cut from cardstock on which I had already applied some adhesive backing, so inlaying them into the outlines was pretty easy once I had glued down the fish and seahorse onto the card. Here again is my completed underwater scene.